I thought, what better way to make a return then to post up a brand new killer Skrillex track that bangs super hard. Skrillex has been playing this track a lot in his shows recently, often following his hit remix of Benny Benassi’s Cinema. The track here is shown with Cinema in the beginning and then the new tune coming in with some heavy drops and some whomping bass, all coming back to Cinema and vocalist Gary Go again towards the end. 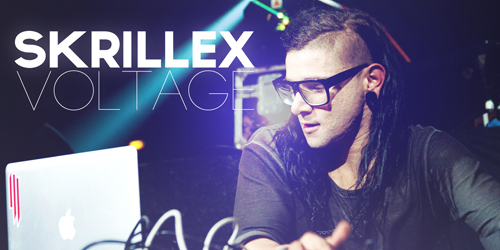 Skrillex just recently announced at the beginning of the month the title for his new EP with the same name (Voltage), so you can expect much more from him in the months and weeks to come!